If you have decided to move to Canada then it’s really a great decision that you have taken, but are you aware of certain things that are kind of must? Well, here are few! The very first thing that you should do is to check your eligibility. Yes, that’s right! Check whether you are eligible to apply! There are certain factors that will decide whether you can apply and here are these! • If you are involved in any human or international rights violations then you are not entitled. • If you have any criminal record, then you are not eligible. • If you are facing any health related issues that may involve diseases that is transmittable. • If you are facing any financial issue such as loan default, or bankruptcy. • If you are caught misrepresenting the information. • If you are involved in any non-compliance activity related to the IRPA (Immigration Refugee Protection Act). • If your family member is inadmissible. If any of the above situations is true in your case, then you are not eligible. If none of the situations is true, then let’s forward to the next step! Now let share the information related to the different types of legal residency that you can consider for living in the Maple Leaf Country. Yes it very important to consider only the legal and legitimate option to move to the overseas hotspot! If you try to choose the non legitimate option to migrate to Canada, then you are not only increasing the chances for your deportation, but also destroying your chances for becoming the permanent resident. Under this system, an applicant with full-time managerial, professional or skilled trade work experience can apply. There is a huge demand for trained professionals in the nation the best way to gain the Permanent Residency (PR) of Canada. 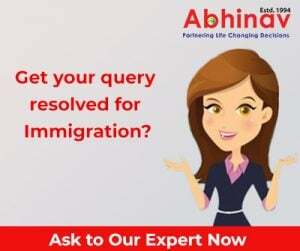 Now when you are applying under the category of Express Entry for Skilled Workers provide all the right information and avoid misrepresenting any information. The embassy officials will be looking at your age, work related the experience, education received, and also the area where you have worked and plan to work further. Under this category applicants who are entrepreneurs, working in their own business or they work as professional investors can apply. The applicants who wish to apply as by the investor related channel, they should have net worth equivalent to 10 million Canadian Dollars. If there net worth is not equivalent to 10 million Canadian Dollars, then they are not eligible to apply under this programme. It is also called know as the PNP. Under this category, the applicant will receive his nomination from Canadian provinces and territories only. As per the changes in immigrant system, all the provinces and territories are now permitted to select applicant under the PNP. This program will suit you if you intend to immigrate and settle in a particular province or territory of the overseas hotspot. So if you plan to immigrate to Canada under PNP, then you can only move to the above province under the mentioned criteria. Now let’s talk about the benefits that you can get if you get an opportunity to move to Canada! 3. You will be entitled to work in Canada. It means you can choose any destination in the country to work and move freely. 4. The PR visa allows you to apply for Canadian citizenship.